In ShopNotes No. 115, we showed how to build a milling machine that uses your router to create decorative profiles on a workpiece, like a table leg. 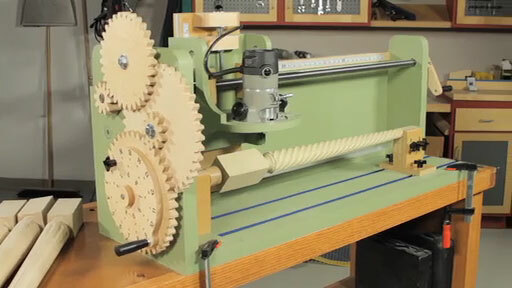 The key to how this milling machine works is the router bits used and the setup of the gears.